Shakespeare's seven great tragedies contain unmistakable elements that set them apart from any other plays ever written. In Romeo and Juliet, Shakespeare embodied in the character of Juliet the world's most impressive representation ever of a woman in love. With Julius Caesar, the great playwright produced a drama of astonishing and perpetual relevance. As you'll see, the key to Shakespeare's massive achievement is his "abundance," according to Professor Saccio; not only in the number and length of his plays but in the variety of experiences they depict, the multitude of actions and characters they contain, the combination of public and private life they deal with, and the richness of feelings they express. All the major plays are here for you to dive into, explore, and enjoy: The Taming of the Shrew (with its realistic look at bourgeois marriage customs), Measure for Measure (which shows Shakespeare breaking out of comic conventions), Richard III (the source of one of the Bard's most entertaining and frightening historical villains), Henry V (which raises questions about the morality of warfare), Macbeth (with its piercing look into the consciousness of a man hungry for power), and more. As the richness of each of these and other plays is revealed, you'll also touch upon the far-ranging philosophical and theological implications behind them. By the last lecture, you'll have a true understanding of why these comedies, histories, and tragedies endure even to this very day. I love Shakespeare. At the age of 9 I had read all of his plays by acting them out with my sisters because we had a complete set of his plays. That is what you did when you didn’t have hundreds of television channels or computers and it was raining outside. I am not a Shakespearean expert but more of an aficionado. 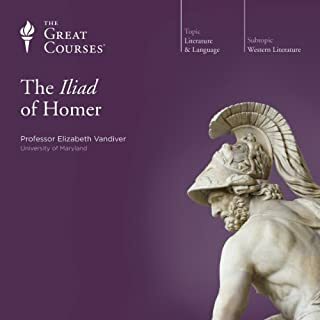 When this Great Course came up on my Audible membership, I just had to get it. The Course is a series of 36 half hour lectures by Prof. Peter Saccio Ph.D. from Dartmouth College. It is not merely a reading and dissecting each play, but more of an overview of the themes of Shakespeare’s plays and what we should learn from them. I especially loved when the Professor pooh-poohed those ideas that Shakespeare didn’t write his own works as class bias and prejudice. I also enjoyed the modern takes on plays like “Taming of the Shrew” and “Merchant of Venice”. I know that this course has set more goals for me in retirement. I would like to see all of Shakespeare’s plays either live or on dvd/video. I have already seen the version of “Richard II” on Amazon Prime this month. This is what a great teacher will do for you. Challenge you to further your research and enjoyment by pursuing experiences that will continue your brain’s capacities. Thank you Professor Peter Saccio for inspiring me. What made the experience of listening to William Shakespeare: Comedies, Histories, and Tragedies the most enjoyable? Professor Saccio is mesmerizing as he delivers his towering, balanced scholarship and insight. He rolls through the boring pedants and conceited 'critics' of Shakespeare with a superb intellect and deep understanding of how the theater works from the inside. The analysis and exposition are simply the best I've ever experienced in any audiobook on any subject. Professor Saccio illuminates the Bard and his work from all perspectives in an even-handed and completely non-ideological way. What about Professor Peter Saccio’s performance did you like? As an actor, Professor Saccio makes the illustrative passages that he quotes truly come alive. As a scholar, he surrounds those bits with a rock-solid context. His performance is truly a tour de force. Before listening to this course, I was, as the professor terms it, an anti-Stratfordian, favoring the Earl of Oxford as the true author of Shakespeare's work. Professor Saccio demolishes the anti-Stratfordian blather and atomizes their arguments in ten minutes or so. Bravo! As a result of Professor Saccio's course, I will get a dozen times more out of any performance of a Shakespeare play than I ever have before. If you have any interest in Shakespeare at all, listen to this course! Peter Saccio unfolds an extremely varied interpretation looking both at the structure of entire plays and sometimes at single soliloquies. He has a flair for knowing the exact amount of context needed to make his point, so that he is never far from Shakespeare's text. Thoroughly recommended for people who enjoy exercising their interpretative muscles and thinking along. That he obviously lives and breathes Shakespeare in that he has a lifelong relationship with and passion for the plays. He rarely gets pver-excited, though, and comes off as an intelligent man saying intelligent things about a subject he knows a lot about. If you yourself like or love Shakespeare this is the next best thing to discussing the text with like-minded fellows. Be aware that not all of Shakespeare's plays are considered, although the big four tragedies, The Henriad, Richard III, Measure for Measure,The Taming of the Shrew, Twelfth Night and The Merchant of Venice must be said to be a quite a representative selection. 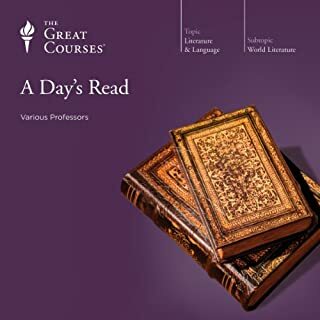 Having never been a truly great fan of Shakespeare i approached this set of lectures with more then a great deal of trepidation, sometimes expanding your horizons can be more like trying to look at the midday sun rather then watching a cool sunset. 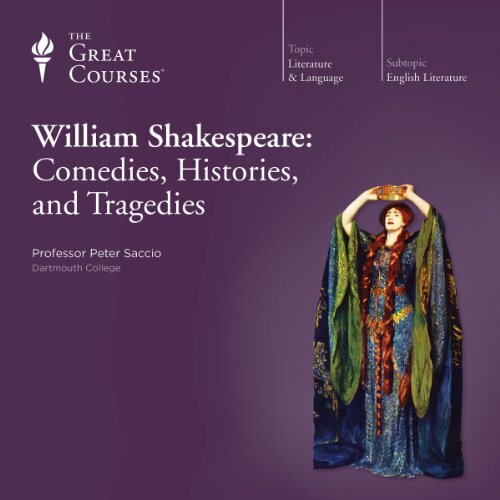 I was incredibly surprised how Prof Saccio made me fall in love with Shakespeare...not just my personal favourites like Twelfth Night but the histories the tragedies as well. The themes discussed in the lectures coupled with the performance of Saccio makes for an incredibly enjoyable, informative and thoroughly entertaining listen. Whether you be a fan of Shakespeare or a novice you wont be disappointed. This book was.... not easy to listen to, though the insights it provided into Shakespeare and his body of work were helpful and educational. The problem is that I am spoiled with the massively talented narrators I normally listen to in Audible. Professor Saccio's verbal hesitations interrupted the flow of his lessons in a way that impeded enjoyment and, sometimes, comprehension. If this existed in a written form I suspect I would have found it much more helpful. 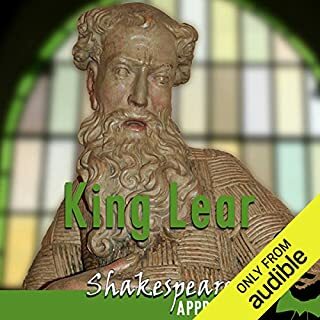 The best purchase I have made on Audible! Extremely enjoyable! I already love Shakespeare, have read all of the plays and have studied Shakespeare in college. 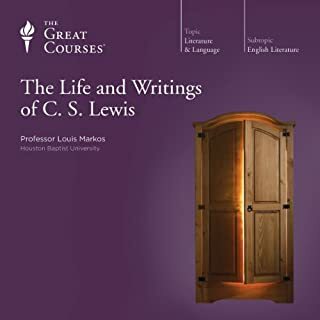 For me, this is the ideal audiobook - a well thought out set of lectures, a great speaker, wonderful thoughtful analysis. Brilliant. Perfect. 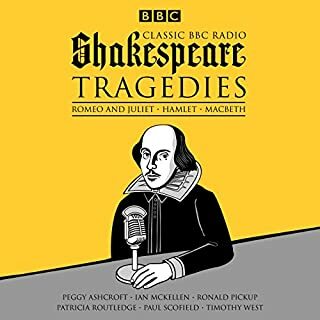 Where does William Shakespeare: Comedies, Histories, and Tragedies rank among all the audiobooks you’ve listened to so far? What does Professor Peter Saccio bring to the story that you wouldn’t experience if you just read the book? Professor Saccio offers terrific insights into key themes, not linear narratives, and communicates his passion in his lecture. He employs just enough performance in the readings to keep the plays themselves a living part of the course, not something dead to simply be studied. 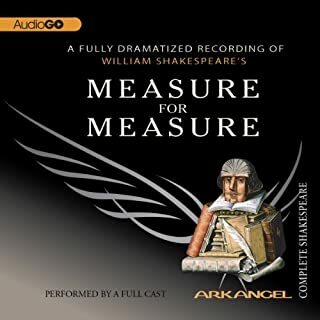 His treatment of the histories, the part of Shakespeare's oeuvre with which I was least familiar, was particularly engaging, including his heartfelt treatment of Falstaff. I would consider this relevant for the "intermediate" Shakespeare enthusiast. Enough depth for those who have read/seen a fair amount, but not assuming full fluency in the playwright. An excellent offering. I have listened to many of the Great Courses audios, and this rates at the very top. Professor Saccio is a person I could listen to extensively. I studied Shakespeare as an undergraduate and found it interesting, but Professor Saccio adds a depth of understanding to these plays I have never heard. As an academic myself, I also enjoyed his occasional references to academia and student perceptions of the plays. The content of these 36 lectures forces us to stop and think. I may listen to this set of lectures again, but there is so much to take in, it will be awhile before I ready for another go around. If you love Shakespeare you'll love these wonderful lectures. Prof. Saccio does a tremendous job explaining and interpreting the plays. The fact that he's an accomplished Shakespearean actor himself is an extra bonus for the listener. His readings from the scripts are a joy to hear. Highly recommended. Peter is magnificent. His passion for Shakespeare permeates the entire lecture series. Very well done! loved this book. The narrator is excellent and his Shakespearean acting skills really come across. If you want more than the plots this is an excellent listen. You get a real feel for all the plays. The balance was great on how much time was spent on each play. Though the author could have talked longer and I could easily have listed much longer. Not really sure. I think so, but the guy reading stutters and makes mistakes over and over again. Not really suited to this book. Hamlet. He stuttered and stammered the whole time. It was quite distracting.